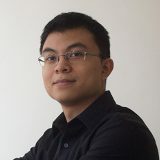 Jackie Cheung conduct research in natural language processing (NLP), an area of artificial intelligence in which he builds computational models of human languages such as English or French. The goal of his research is to develop computational methods for understanding text and speech, in order to generate language that is fluent and appropriate to the context. In his lab, he investigates statistical machine learning techniques for analyzing and making predictions about language. Several current projects include summarizing fiction, extracting events from text, and adapting language across genres.